Mark your calendars! Our End of Season Party is taking place on Thursday October 8th. For more information and details on how to get your ticket, please click here! 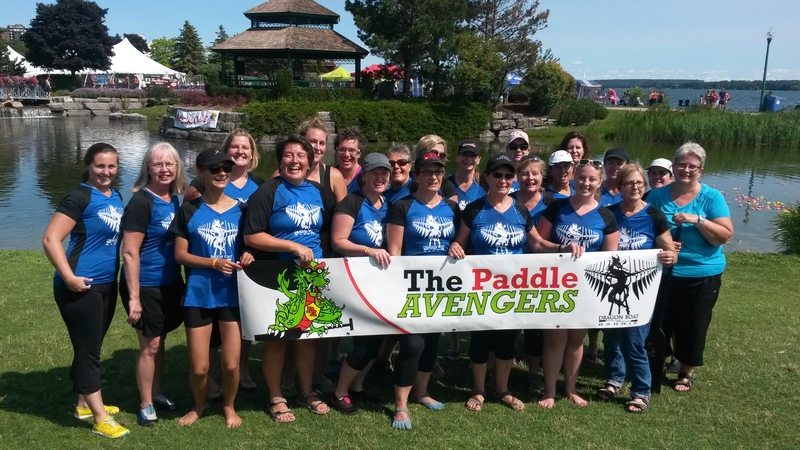 This year we had four club teams competing at the Barrie Dragon Boat Festival: PaddleAvengers, PowerStrokes, Busch Buccaneers – Paddles of Fury, and the Water Warriors! 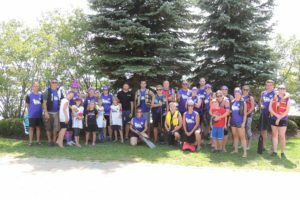 The teams rasied funds totaling more than $6,000, for Crohn’s and Colitis Canada, Hospice Simcoe, Gilda’s Club Simcoe Muskoka, Furry Friends, and the Dekpor School Development Organization. 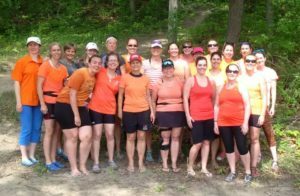 It was another successful year for 5K Around the Bay, as devoted paddlers went for a casual, 5km paddle around the shores of beautiful Kempenfelt Bay, raising more than $2,000 for the Heart and Stroke Foundation of Ontario. 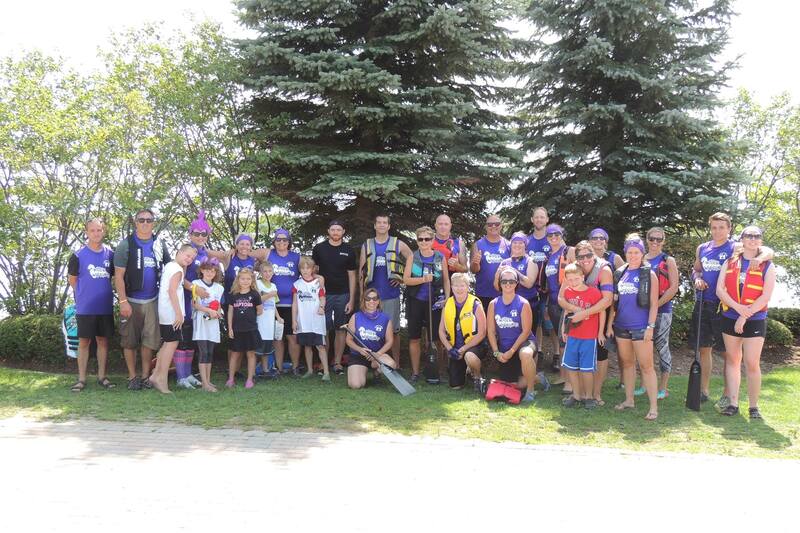 This year PaddleAvengers competed in two regattas – one in Port Perry as well as the Barrie Festival. They placed 1st in D Division at Port Perry, and 3rd place in the Silver Consolation Division in Barrie. On top of that, they raised just over $500 for Crohn’s and Colitis Canada through a very unique Murder Mystery Party, Murder on the Lake! 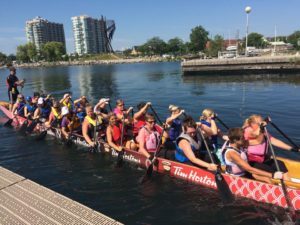 This year PowerStrokes is competing at three different regattas – the Barrie Dragon Boat Festival, as well as the GWN Sport Regatta and GWN Challenge, both in Toronto. 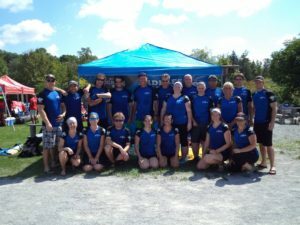 They placed 4th overall in both the Mixed Community 200m and 500m A Consolation Finals at the GWN Sport Regatta, and at the Barrie festival 2nd in Platinum Consolation Finals moving up three spots from last season! 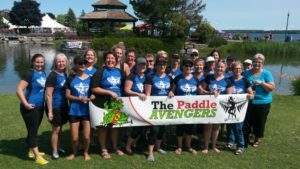 PaddleStrong is competing at four different regattas this year – Parry Sound, Woodstock, and the GWN Sport Regatta and GWN Challenge in Toronto. PaddleStrong narrowly missed out winning the entire Parry Sound Festival, capsizing their boat just meters away from the finish line! They had a strong showing at the Woodstock Festival, taking 1st place in the Silver Division. They also took a very respectable 7th place overall finish at the GWN Sport Regatta. 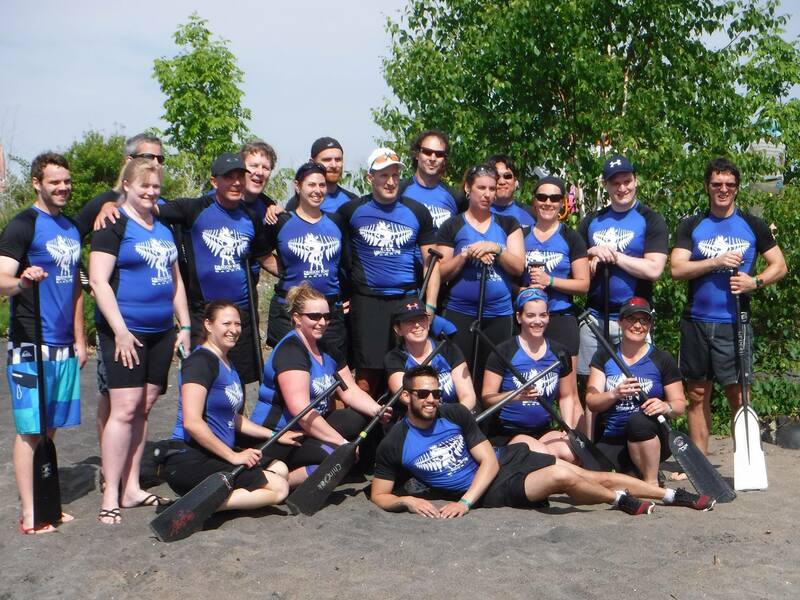 The Paddles of Fury competed in King City and Barrie, and have one more regatta left in Stratford this month. They have had an amazing season, making it all the way into A Division in King City, and placing 2nd overall at the Barrie Dragon Boat Festival – including having the fastest times of any Barrie-based team! Way to go guys! 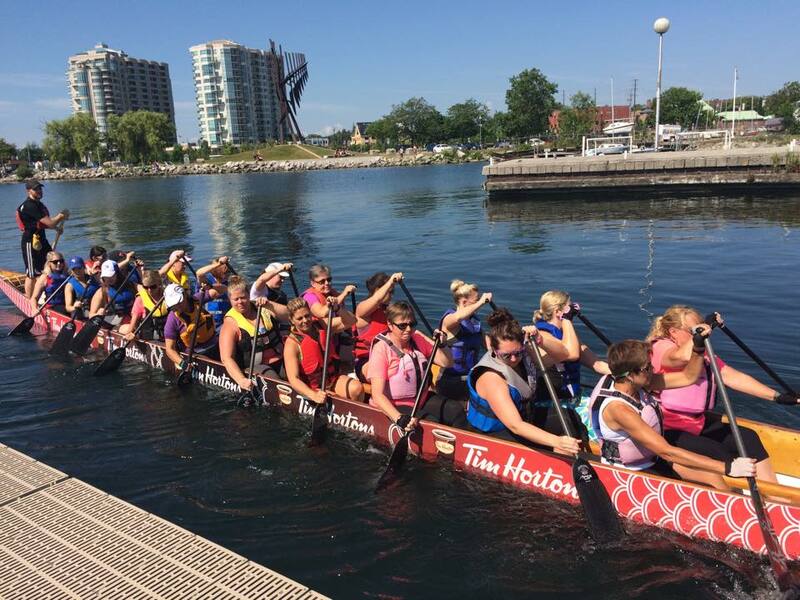 The Water Warriors competed at the Barrie Dragon Boat Festival, rocketing from Gold Division last year, all the way up into the Plantinum Division Finals! The team placed 4th overall, out of nearly 50 teams. Not only that, but they raised over $5,000 for Hospice Simcoe in the process. Awesome job guys! TWSS competed in Brampton early on in the season back in May, and will also be looking to reclaim the gold medal at the GWN Challenge. Best of luck ladies! Best of luck to PowerStrokes, PaddleStrong and That’s What She Said at the GWN Challenge, and to the Paddles of Fury competing in Stratford this month! 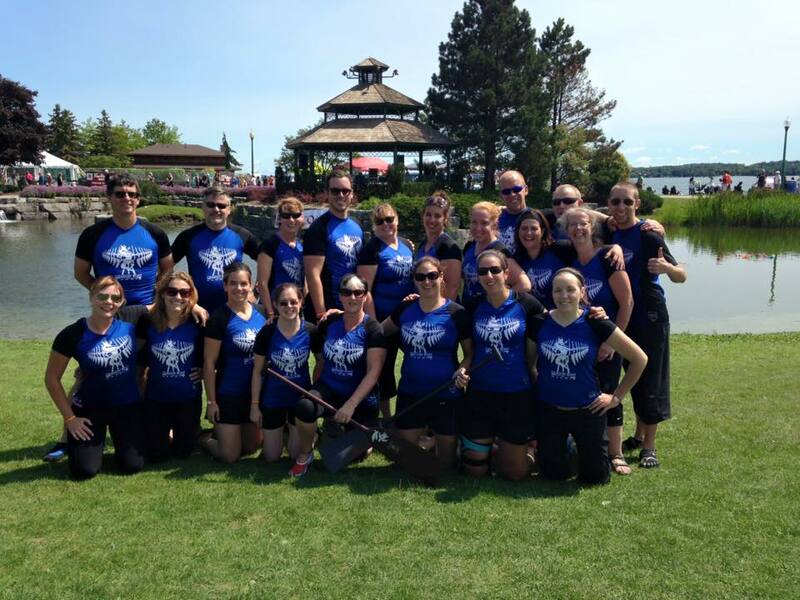 Every Dragon Boat Barrie member is requested to perform at least 2 hours of volunteer work for the club each year. Have you completed yours yet? There are many ways to accumulate hours! Check out the details here!